Published on 15 July 2012. 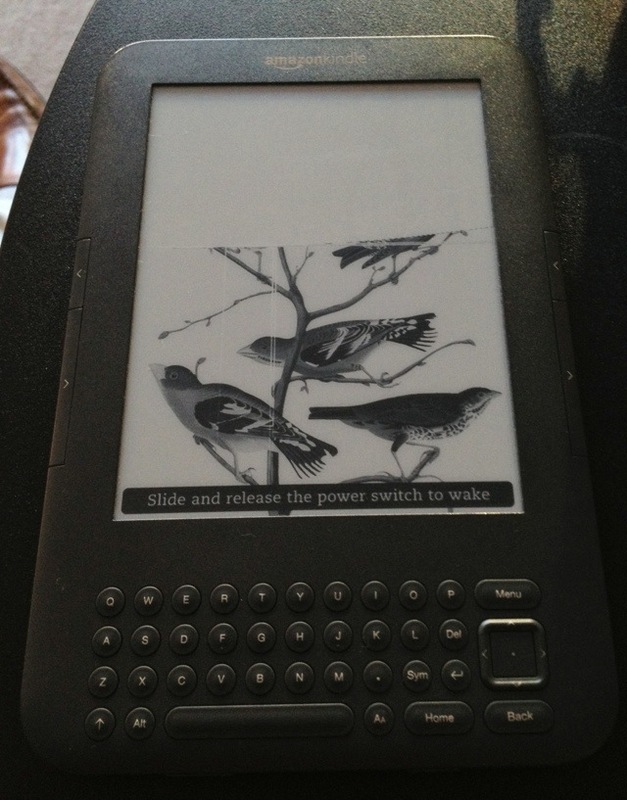 Towards the end of last year, my Kindle cracked. Despite it being well out of warranty (I’d had it since August 2010), Amazon replaced it for free. Today, the replacement broke – as you can see, the screen has died. Bizarrely, this seems to have happened totally spontaneously while the Kindle was sat on my desk. I don’t understand how that’s possible…! Sadly, Amazon wouldn’t give me another free replacement this time around – but they are sending me a replacement for £50. As this model retails at £149, that’s still considerably better than most of Amazon’s competitors! This 1,724th post was filed under: Photo-a-day 2012, Amazon, Kindle, Retail.